Is it the Year to Travel to South Africa ? If you’re looking for a destination that offers you plenty of options for cultural, historical, scenic, and adventure experiences, then South Africa should rank highly on your ‘possible next overseas holiday’ list! A variety of interesting things to see and do? Is there a good time of year to go? Is now a good financial time to go? How hard is it to get to and get around when you’re there? We’ll look at each one of these criteria in more detail in this article, offering you some practical tips and advice along the way. But first, you’ll need to get your head around the geographic layout of the country. 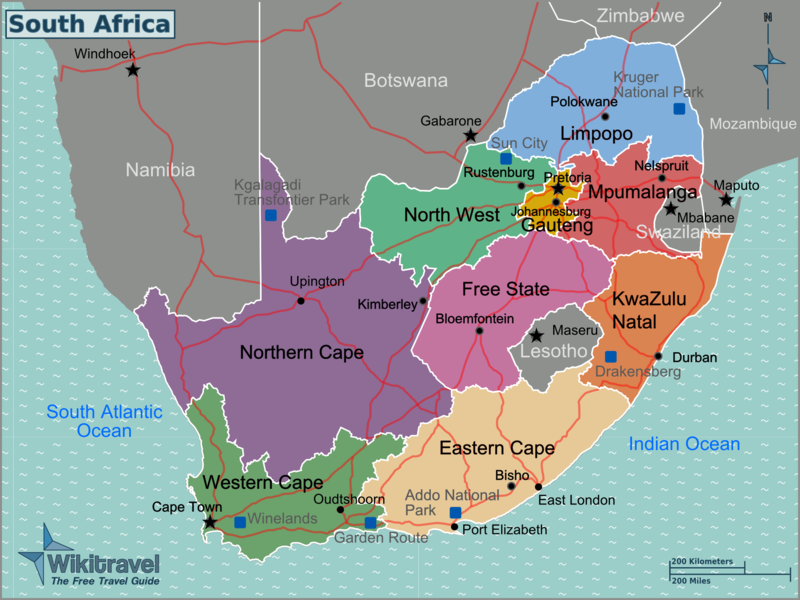 South Africa is made up of 9 provinces. Each is colour-coded in the map below. It is bordered by 6 countries – Namibia, Botswana, Zimbabwe, Mozambique, Swaziland, and Lesotho. 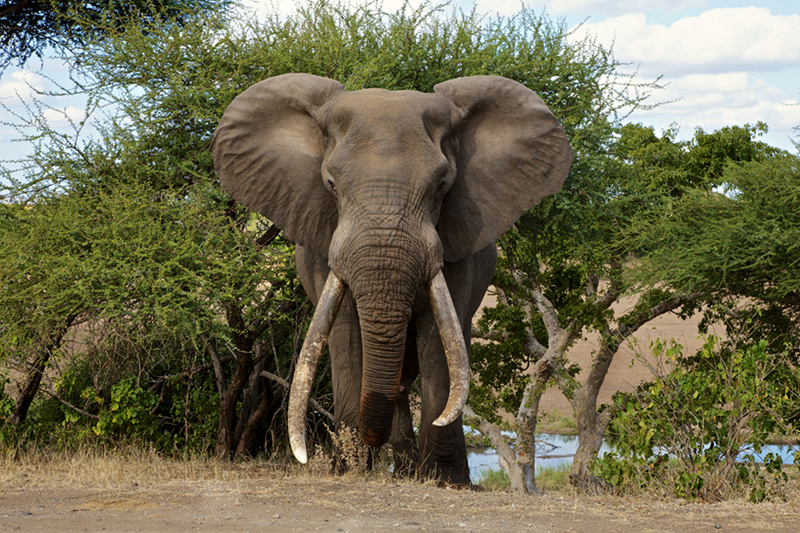 South Africa is known for its wildlife safaris, and Kruger National Park is the oldest national park in South Africa. It is also one of the largest game reserves in the country. Various guided safari drive tours are available in the early morning, late afternoon or evening, as well as self-drive tours. You will be able to see wild animals including lions, leopards, buffalos, rhinoceroses and elephants in their natural habitat, a truly unique experience! Naturally, if you take the self-drive option, it is very important that you keep a safe distance between your vehicle and the animals, and are aware of escape routes if necessary. Accommodation options at Kruger National Park range from basic campsites for tents and caravans, right through to luxury lodges, depending on your preferences and budget. Table Mountain forms part of the Table Mountain National Park, and overlooks Cape Town. Its summit is more than a kilometre above sea level. 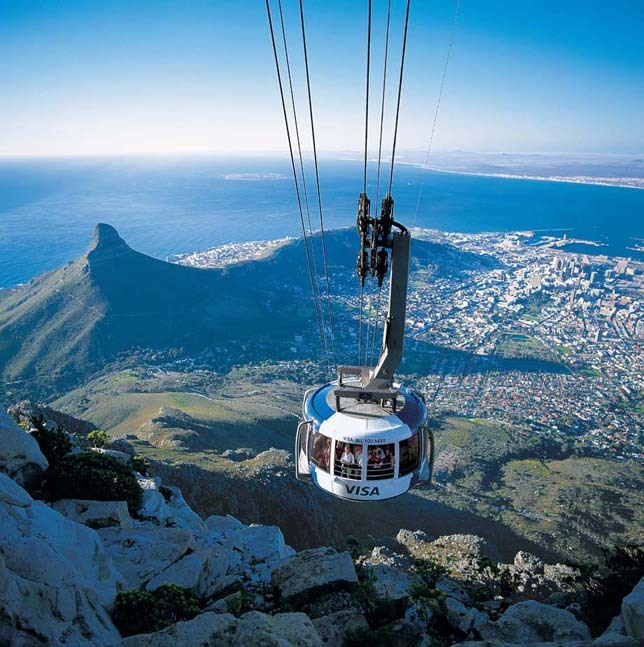 Besides riding the Cableway to take in the breathtaking views, tourists can hike the mountain (it takes about 2-3 hours), or go mountain biking, caving or rock climbing on its surface. 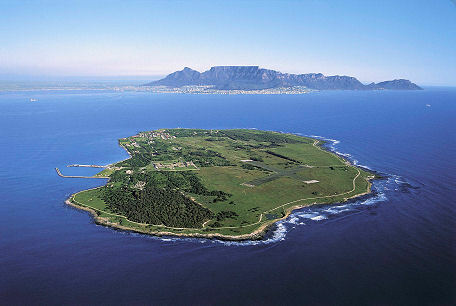 Robben Island, just off the coast of Cape Town, is where the iconic Nelson Mandela spent 18 of his 27 years in prison. Tours are conducted by former prisoners, and you’ll see where Mandela spent his time breaking rocks into gravel, before ultimately triumphing to become President of South Africa in the late 20th century. 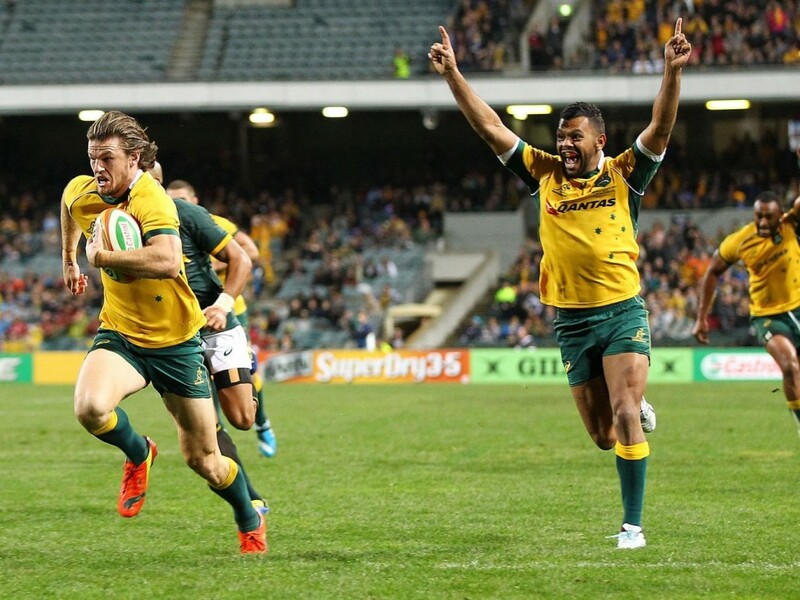 Rugby, cricket, and soccer (football) are three popular sports in South Africa, just as they are in Australia. The Super Rugby competition runs from late February through to early August each year, and in 2016 there will be an Australian Super Rugby team playing a South African team in South Africa in the months of March, April, and July. The Australian cricket team will also tour South Africa regularly and play different international matches. The South African Premier Soccer League (PSL) season runs from August through to May, with 16 teams from all over the country competing. 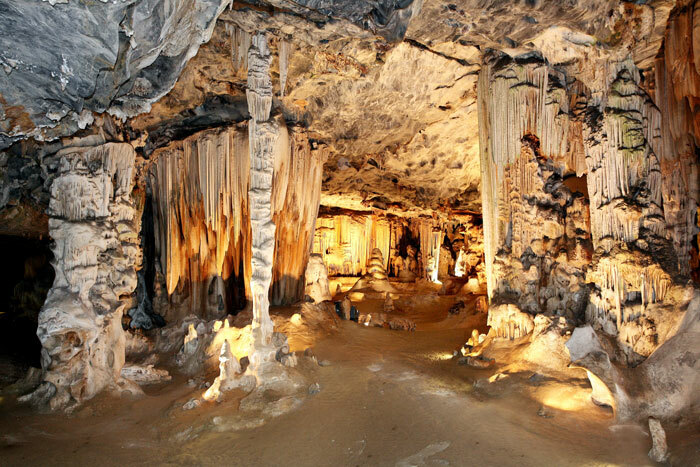 Two types of guided tours of these wonders of mother nature are available. A standard walking tour takes about an hour, and the adventure tour lasts approximately an hour and a half, where you will crawl through dark narrow passages, as well as climb some steep rock formations. For wine lovers, most of the vineyards in South Africa are in the Western Cape. 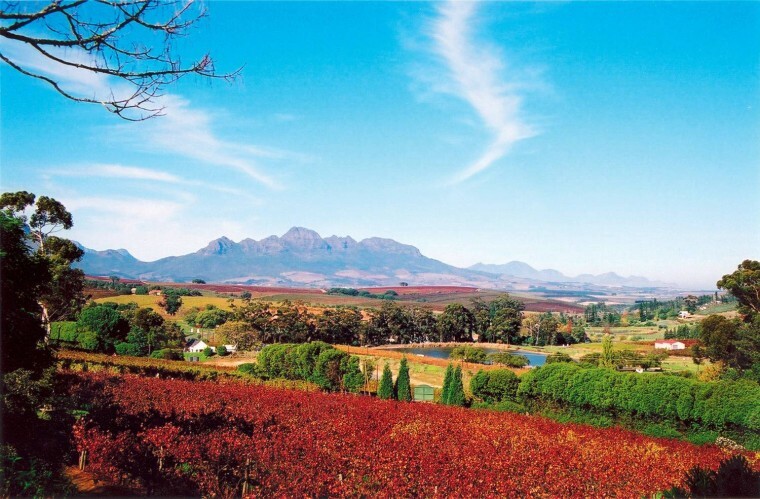 Cape Winelands is a region that is particularly well-known and includes wine routes such as Constantia and Stellenbosch. Hermanus in the Western Cape is known for its whale watching tours, with the best time for sightings typically from September to November each year. The South African coastline is dotted with pristine beaches, meaning you can’t go too far wrong wherever you are. 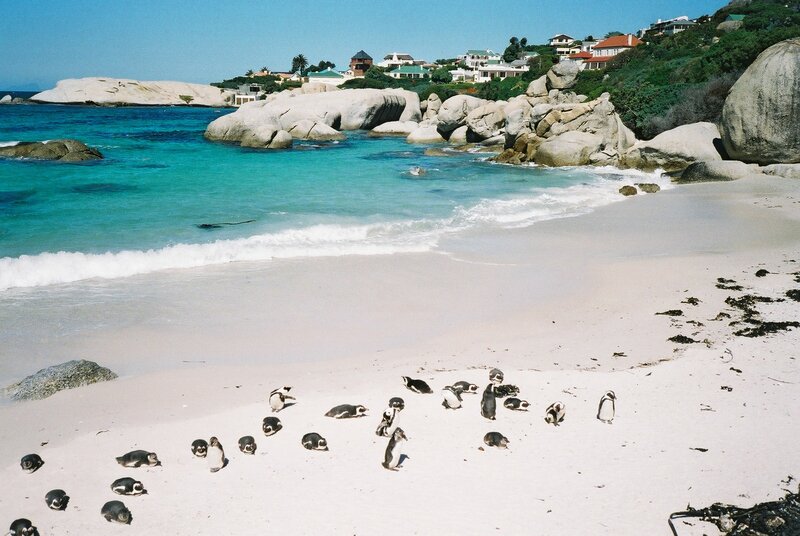 For two potentially memorable experiences, try swimming with the penguins at Boulders Beach, which is about a 50-minute drive south from Cape Town, or surfing at Elands Bay, which is about a 2 and a half hour drive north. To understand a country, you need to appreciate its history. 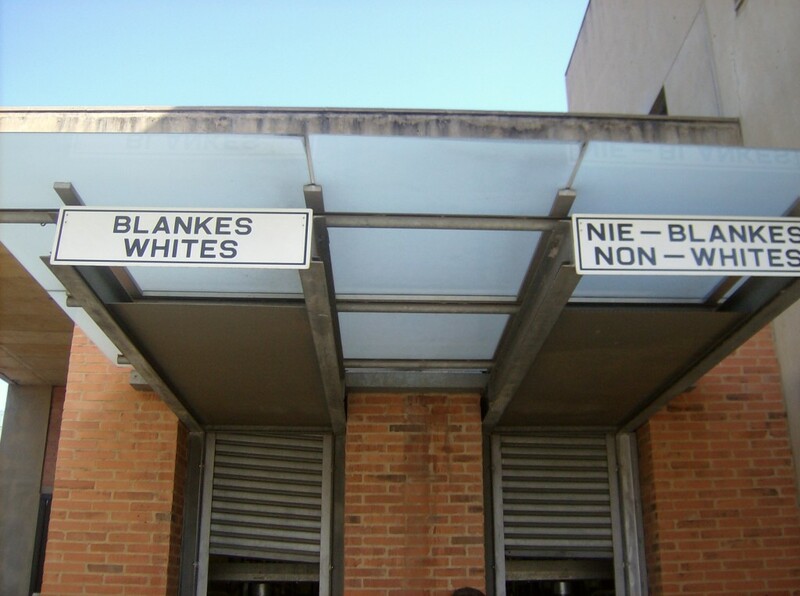 This museum illustrates the 1948-1994 era of racial segregation in South Africa and is as educational as it is haunting. Townships were segregated urban living areas during the Apartheid era. Soweto in Johannesburg is the largest historical township in South Africa. 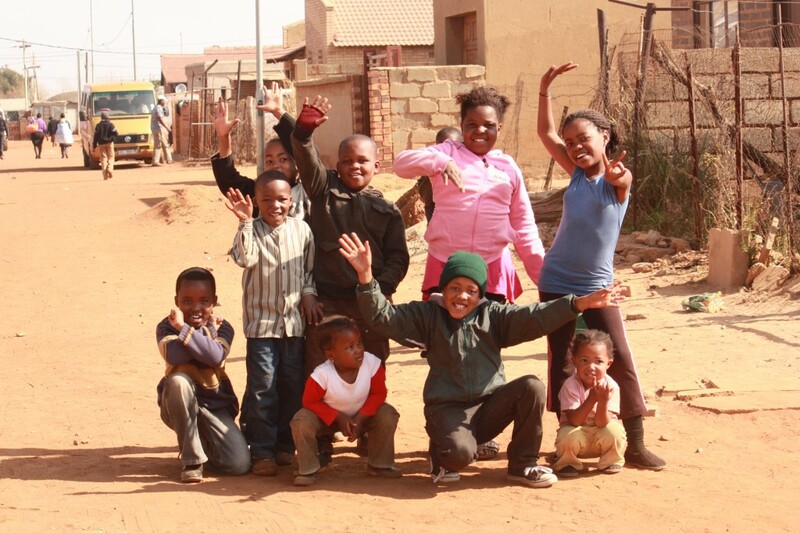 If you want a genuine cultural experience of the daily living of many South Africans, take a professionally guided tour of a township like Soweto. Like holidaying in Australia, if you want to avoid the maximum crowds and the most expensive accommodation dates, it’s best not to go to South Africa when the local school holidays are on. Below is a list of the 2016 South African school holiday dates, which are the same across all 9 provinces. In terms of seasons, South Africa’s occur at the same time as Australia’s, since both countries are in the southern hemisphere. Its climate is similar to Australia’s, with various areas ranging from desert to sub-tropical, and temperatures varying across the country. South Africa gets most of its annual rainfall between October and April, and particularly during the summer months. For visiting game reserves like Kruger National Park, this is best done in the dry season (May to September). There are a number of reasons for this – temperatures are milder, there is less vegetation to block your view of wildlife, animals will come to waterholes to drink more often, and there is less chance of you contracting malaria. Travelling withing South Africa is easy and we recommend using this travel site for flight bookings. Current exchange rates between the Australian dollar and the South African rand make South Africa a great value for money destination for Australian tourists, which is a bonus. As the graph below shows, this has been the case for several years now. 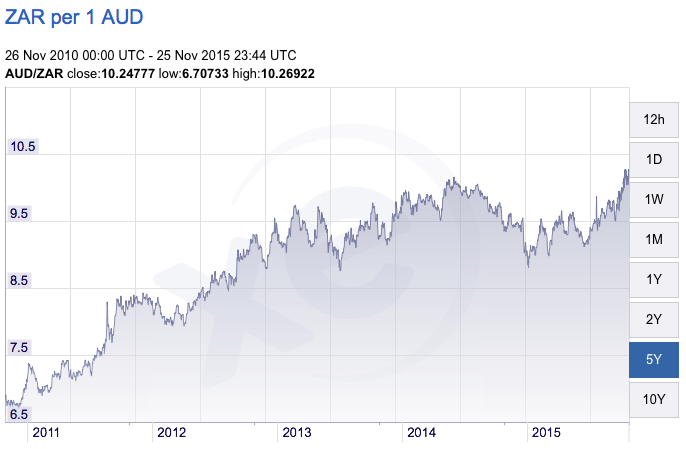 The Australian dollar (AUD) will buy you approximately 10 South African rand (ZAR), a far cry from a decade ago when it hovered around the 4-5 rand mark. There are regular, direct flights to Johannesburg (the largest city in South Africa) from both Sydney and Perth, which take approximately 13 and 8 hours respectively. Within South Africa, there are airports in the major cities of each of its 9 provinces (Eastern Cape, Free State, Gauteng, KwaZulu-Natal, Limpopo, Mpumalanga, North West, Northern Cape, Western Cape). Flights between provinces are relatively short by Australian standards. A “long” flight, for example, would be from Cape Town in the Western Cape to Kruger International Airport in Mpumalanga in eastern South Africa, which takes approximately 2 and a half hours. The Australian government’s official advice from the Department of Foreign Affairs and Trade is that Australians should exercise a high degree of caution if they travel to South Africa. This is because there is a relatively high level of serious crime in the country. This means you should take sensible precautions, like paying close attention to your personal security and belongings at all times. You should also be aware that there is a relatively high level of HIV/AIDS within South Africa, and you should take precautions if engaging in any activities that will expose you to the risk of infection. As with travelling to any destination, you should talk to your doctor about appropriate vaccines and preventative medicines before you go. In addition to the routine vaccines, for South Africa, you should prevent your chances of contracting any of the following diseases – hepatitis A/B, typhoid, malaria, and rabies. In addition, if you are travelling with children under 18, you must carry both a passport and full valid birth certificate for each child, to be produced on request by local authorities. Please Share your tips, tricks and stories about Travel to South Africa in the comments section so that others can benefit on their travels!